Welcome to 2018. We’re starting as we threatened to, with the publication of Retail Island, Christopher Nosnibor’s first longform work of fiction in five years. It’s available to order in print or as an eBook from our store front here. It will be avaiable globally via Amazon and most other major on-line retailers before long. 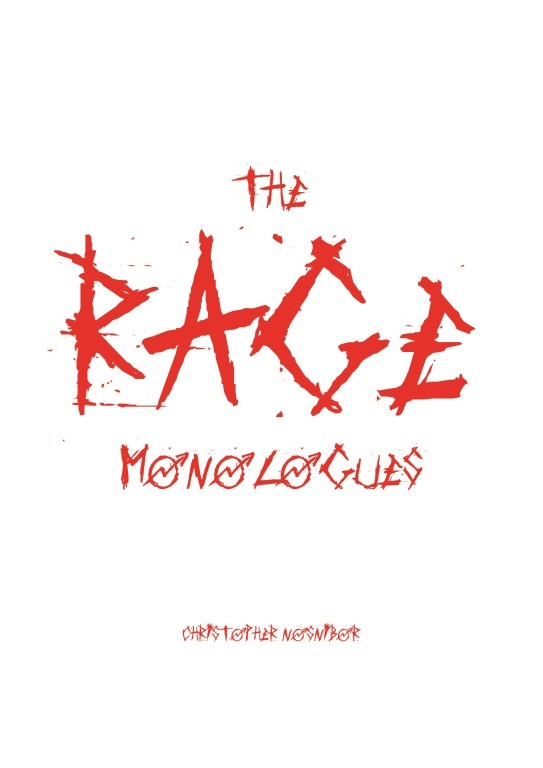 We’re elated to announce the publication of Christopher Nosnibor’s new book, The RAGE Monologues, in print, today. To celebrate the launch, we’re offering it at a special offer dicount price with 25% off the retail price of £5.99 (or domestic currency equivalent) for a limited period only. The blurb: Modern life is full of niggles and frustrations. It’s also bursting with ballaches and tempestuous turmoils on a global scale. What is it that winds you up or grinds your gears? Sometimes, it’s an accumulation of the little things that push you to, or over, the brink. So, what gets under your skin, gnaws away at your gut, and drives you crazy? For Christopher Nosnibor, the answer is pretty much everything. Evolved as a spoken word project over the course of three years, ‘The Rage Monologues’ is the hoarse, enraged, spittle-spraying voice of one man against the world. Politics, media, poetry, and post office queues – it’s open season in this collection of splenetic, profanity-laden tirades. By turns amusing, sad, and simply ire-fuelling, ‘The Rage Monologues’ is a relentless, uncompromising, and eye-poppingly vitriolic tour de force. The RAGE Monologues is also available as an ebook, here, and will be available both digitally and in print via all on-line retail channels soon. We are proud to announce that an expanded edition of Christopher Nosnibor’s Rage Monologues, previously only available as a limited-edition pamphlet at his live performances, will soon be available as a trade paperback and e-book. Dates, prices, and perhaps some excerpts to follow. Keep watching this space. Eight years on from his last ‘29 Days of February’ project, Christopher Nosnibor is celebrating the leap year with a limited-run publication, and Clinicality Press are proud to be involved. This year’s ‘29 Days’ project will be published as a back-to-back A5 saddle-stitched pamphlet priced at £3.50 and an ebook priced at $1.99. We have our reasons for using different outlets for the two formats, but links to both are at the bottom of this post. Something Must Break / Dream of the Flood will be available from midnight GMT. At Midnight on 29th February, Something Must Break / Before the Flood will be deleted and will not be republished. Clinicality Press are proud to announce that 1st February 2016 will see the publication of a new pamphlet containing two short stories by Christopher Nosnibor. 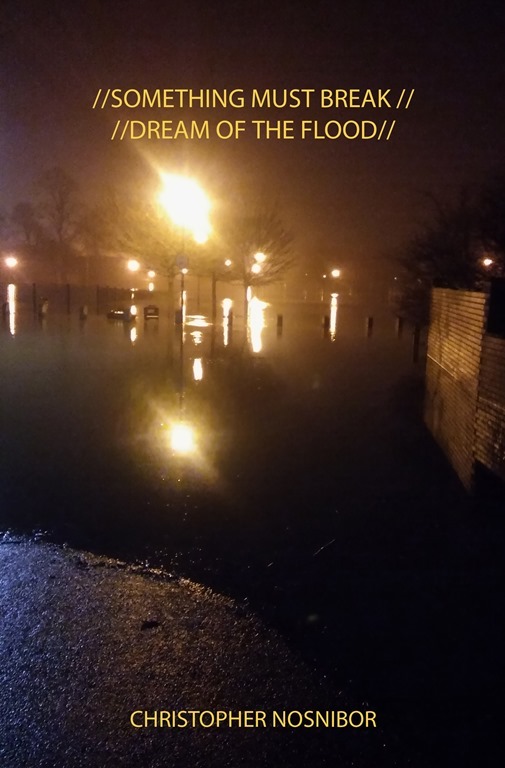 A project to mark the leap year, Something Must Break / Dream of the Flood will be available to order in print and as an e-book until midnight on 29th February, at which point it will be deleted. Prices and links to follow. Not only are we a zero-budget publisher, but we’re committed to skinning ourselves alive in our desire to see our books read by as many people as possible. Which means we’re doing a January sale thing. We’re offering key titles in print with some whopping discounts – up to 40% in some cases. Which is pretty much cost price. So we care? No. We’re not in it for the money. We’re all about the books. This link to our shop front is all you need, dear readers – so go on, fill yer boots.